Dewan Realtors brings you properties in and around Chandigarh-Panchkula-Zirakpur-Mohali at cheapest rates and that too without any hassle. Feel free to contact and discuss your property related requirements. 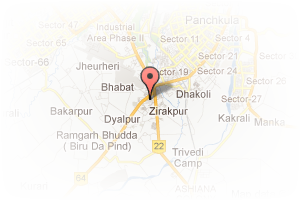 Address: SCO 5, MS Enclave, Dhakoli, Dhakoli, Zirakpur, Chandigarh, India. 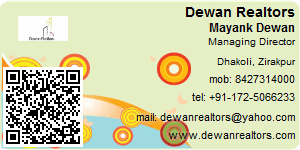 This Broker Profile page for "Dewan Realtors" has been created by PropertyWala.com. "Dewan Realtors" is not endorsed by or affiliated with PropertyWala.com. For questions regarding Broker Profiles on PropertyWala.com please contact us.